Now that autumn has officially arrived, be the smug one this year and get your festive party date in the diary to celebrate with friends. The ‘C’ word is already being thrown around and supermarkets have their festive aisle in place, filled with selection boxes and mammoth jars of peanuts,… and we’re still only in September! Whilst it’s a bit too early to bulk-buy mince pies, it’s never too early to take charge of the social calendar and book ahead for your festive celebrations, whether with work colleagues, friends or family; and where better to book than here at The Royal Exchange. Mistletoe and (mulled) wine will be flowing a ‘plenty from late November. Key ingredients for the perfect festive night at The Royal Exchange include our merry staff, festive décor and a unique array of local and international brands including festive warm cider, artisan gins, craft beers, ales and cocktails. Our Head Chef has enjoyed creating a delicious and creative menu of fresh, local and seasonal delights with no hint of a nut roast in sight! 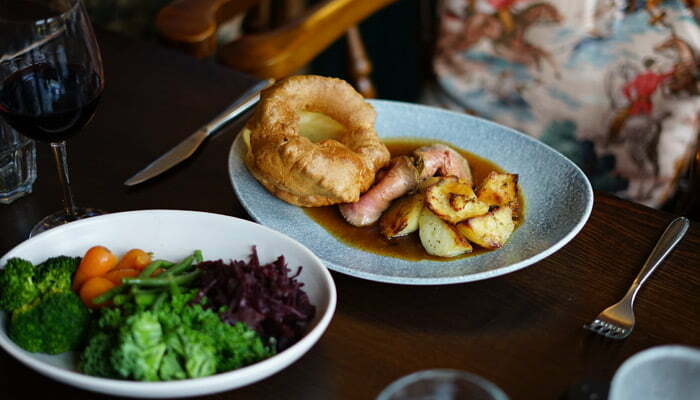 From the traditional roast English turkey with chestnut and apricot stuffing to fillet of cod wrapped in Parma ham, our menu promises to satisfy your parties taste buds, so you can ensure everyone has an enjoyable time. Our festive menus start at just £19.95 for a two-course festive meal. Don’t delay, book online today to reserve your Christmas Party. Deposits will be required at the time of booking. For information relating to our booking and cancellation policy, click here. Make the most of your Christmas celebration and book a festive getaway this party season! Enjoy a stay at one of our sister pubs, The Red Lion or The Stag on the River; Both with rooms featuring sumptuous beds with luxury bedding and state of the art, stylish bathrooms boasting fluffy towels, bathrobes and ESPA toiletries. If you’re a lover of organisation and like to plan early, leave the novelty socks be this year and think outside the box when it comes to stocking fillers and gifts. 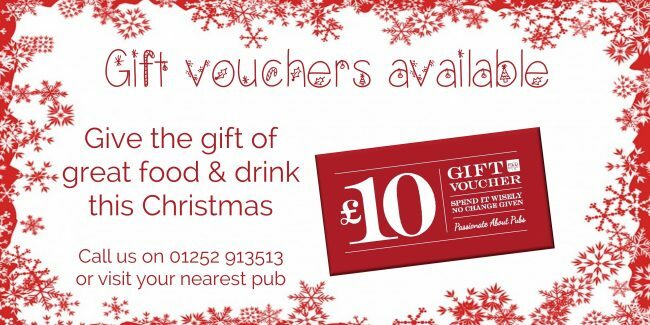 Wouldn’t a ’round of drinks’, a ‘meal’ or ‘stay’ at their favourite pub be a great idea… and easily achieved with our gift vouchers (available to purchase at all our sister pubs or by calling our Head Office). 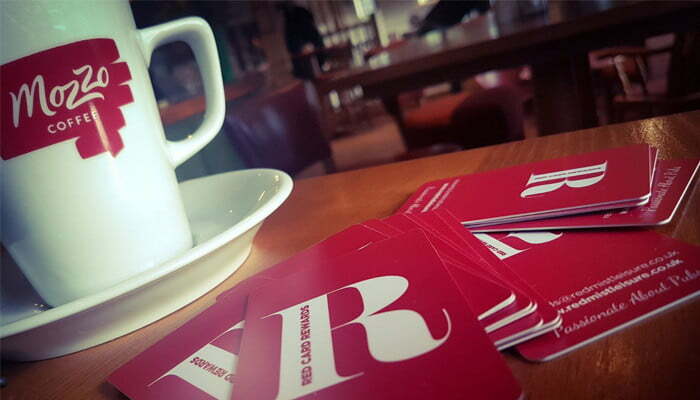 Our gift vouchers can be used in any of our pubs on all food, drink and accommodation (at The Red Lion, Odiham and The Stag on the River, Eashing). There will be plenty of festive activity taking place in and around Lindford as we get closer to December and we will, of course, keep you posted on upcoming events that we feel would be of interest. For now, here’s a few dates to plot on your calendar! Festive wreath making workshop. Tuesday 12th December @ 10am (The Duke of Cambridge, Tilford). 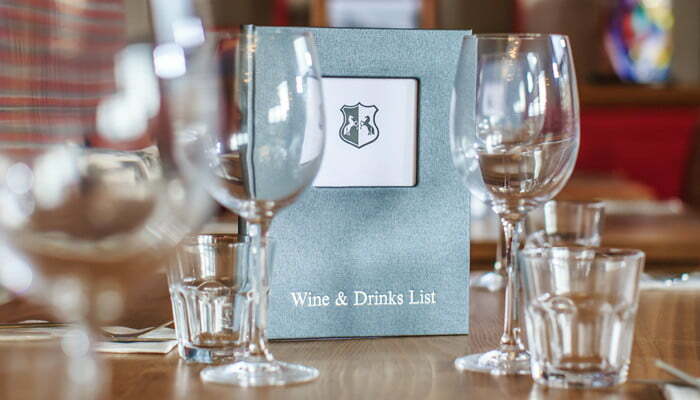 Check out our Festive Menus here and don’t forget to book early to avoid disappointment.